The latest developments in Afghan capital Kabul indicate some kind of reconciliation between the west-backed government and Taliban, the hardened terrorist group engaged in attacking civilians and the people associated with the government. President Ashraf Ghani’s approach towards Taliban was altogether different on Wednesday when he offered to “recognize” Taliban as a legitimate political group without any pre-conditions, as part of a proposed process for ending 16-year long war. During his address at the conference President Ashraf Ghani proposed a ceasefire and prisoner release as part of a range of options, including new elections involving the armed group and a constitutional review as part of a pact with the Taliban. “We are making this offer without preconditions in order to lead to a peace agreement. Taliban are expected to give input to the peace making process, the goal of which is to draw the Taliban, as an organization, to peace talks” he said. 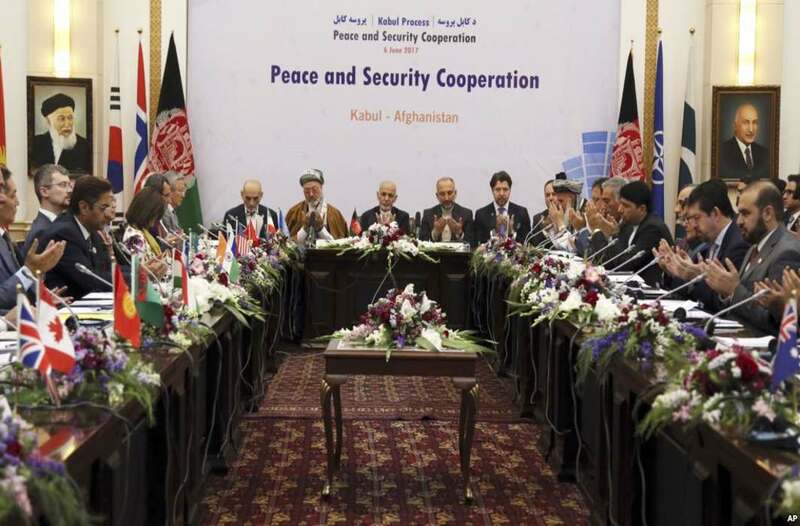 The conference was attended by representatives of 25 countries, involved in the Kabul Process. Meanwhile, TOLO News reports from Kabul that the UN Assistance Mission in Afghanistan (UNAMA) has welcomed Afghan government’s renewed call for unconditional peace talks with Taliban and the outlining of a framework for peace, presented at the Kabul Process II conference in Kabul. So far, Taliban, fighting to return to power after its government was removed by US lead northern alliance in 2001, has offered to begin talks with the US but refused to start direct discussions with Kabul. At the same time, while President Ashraf Ghani was making his landmark statement, a senior Taliban official based in Doha told Aljazeera that group invites US officials to its political office in Doha, Qatar to discuss a “peaceful solution” to end the bloodshed in the country. On Friday, Afghan local media had claimed that Afghan government has been discussing with Qatari authorities the closure of Taliban’s office in Doha as this had “no positive consequence in terms of facilitating the peace talks”. The Taliban official has also warned Afghan government that the talks of shuttering the Doha office would scuttle the group’s offer of talks altogether. Recently, in a softening move, Taliban have recently vowed to support and protect the $10-billion trans-national gas pipeline originating from Turkmenistan to reach India via Afghanistan and Pakistan. Their announcement came when President Ashraf Ghani, along with Pakistan PM Shahid Khaqan Abbasi, Turkmenistan President Gurbanguly Berdymukhammedov and India’s Minister of State for External Affairs M J Akbar, inaugurated the construction of Afghanistan section on February 24. Taliban ruled roughly three quarters of Afghanistan from 1996 to 2001 and enforced strict interpretation of Islamic law, generally perceive by Saudi originated Wahabi ideology. It held control of most of the country until being overthrown after the American-led invasion of Afghanistan in December 2001 following 9/11 terror attacks in the United States.